If there’s one thing I’ve added a lot of to my closet this year, it’s statement trousers. Whether they’re brightly hued or boldly patterned patterned, pants seem to have overtaken my previous love for skirts. They’re now a favourite way to jazz up an outfit, and I like the way that they can be used as a simple way of adding a pop of colour to even the most sartorially safe girls’ ensembles. 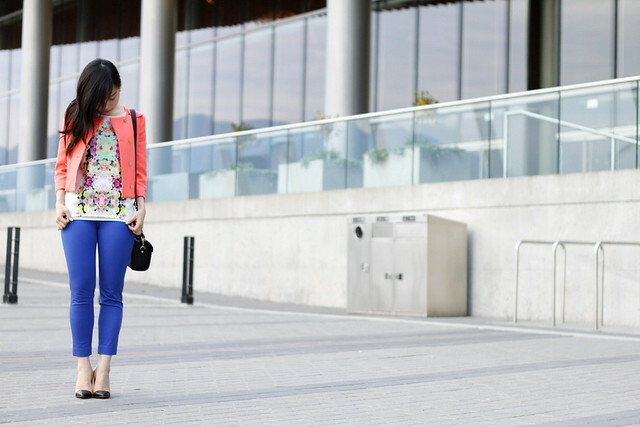 Are you a fan of the coloured/patterned pant? I love the look, have yet to find ones that suit my body style though! 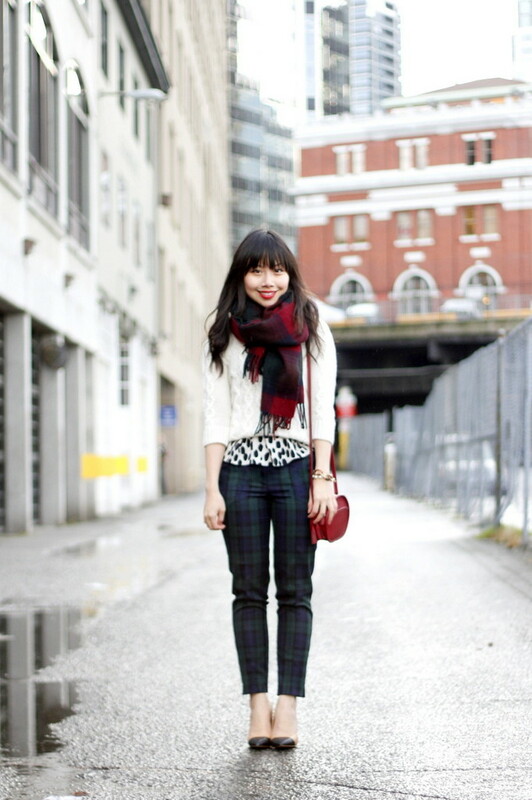 All of those pairs of trousers are pretty fantastic, but the last plaid pair is my favourite! I’m SUCH a fan of the statement pant. I was just thinking the other day…. what did I do when all I had was blue, grey, and black jeans??? Really love all these photos (and the location of the first one looks amazing!). The length of pants you choose is so flattering as well. Where are the tartan trousers from?! I absolutely love printed and colored trousers. All of yours look fabulous! Love all the ways you styled them! Love evrything about your trouser photos. Beautiful cut and color. i love statement trousers too, they have definitely taken over my wardrobe this year as well! You have quite the collection! This post has inspired me to pick up more statement pants.. definitely need a few of these in my closet. I love the colored trouser look. I think fit and fabric are so important when wearing this style but you make it look so easy! Great outfit combos with the use of colored/patterned pants! What a fantastic collection of trousers! Such great colours!